After addressing the tough topics of cyberbullying and suicide in his latest music video to 'Forever Always' feat. Chadaé, Atlanta-based hip hop artist GodFrame returns with a more cheerful single 'Aquafina.' The song premieres on Friday, March 29th. GodFrame's self-produced track devises a catchy up-tempo vibe with bouncing synth bass lines, thick drums, and melodic vocal cadences somewhat reminiscent of the artist’s new home base in ATL. 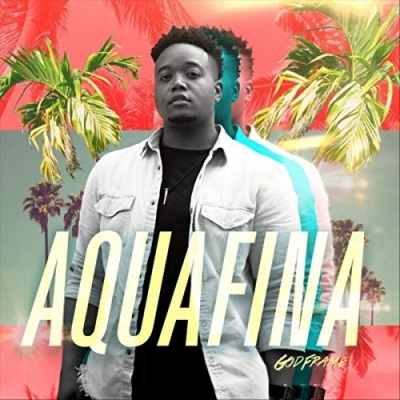 Although not typically known for his wordplay, the artist uses 'Aquafina' to invite listeners to look deeper than the popular beverage brand. Read More After addressing the tough topics of cyberbullying and suicide in his latest music video to 'Forever Always' feat. Chadaé, Atlanta-based hip hop artist GodFrame returns with a more cheerful single 'Aquafina.' The song premieres on Friday, March 29th.